“We decided to farm organically because we believe it leads to better grapes and higher quality wines. This approach in the vineyard, plus our traditional approach to winemaking, will provide the finest possible wines for our customers.” – Paul Draper, CEO/winemaker. Lytton Springs, in Sonoma County, became part of the Ridge estate in 1991. A quarter century’s experience with this vineyard had convinced us that it was an exceptional piece of ground. 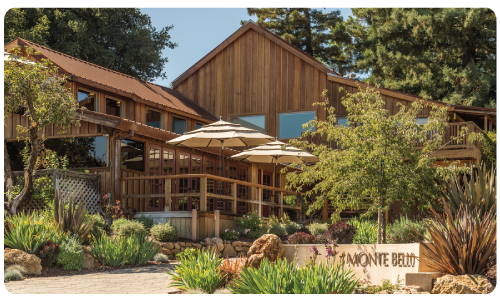 Forty consecutive vintages of Geyserville attest to yet another stunning combination of location and varietals. Though born in the early sixties to the post-Prohibition world of modern California winemaking, Ridge relies on nature and tradition rather than technology. Our approach is straightforward: find intense, flavorful grapes; intrude upon the process only when necessary; draw the fruit’s distinctive character and richness into the wine. 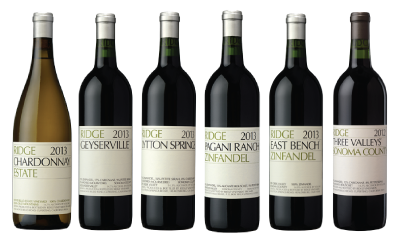 While Ridge is by no means a large grower, they are the largest grower of organically farmed grapes in Sonoma County, and in the Santa Cruz Mountains appellation. This entry was posted in Winery Spotlight Tastings and tagged california wine, California wine tasting, chardonnay, estate chardonnay, estate grown, Estate wines, Geyserville, local wine event, local wine tasting, lytton springs, mcphereson wines, organic wine, pagani ranch, paul draper, ridge, ridge vineyards, ridge wines, santa cruz wines, sonoma, sonoma county, sustainable wines, tasting, tasting event, tasting station, Three Valleys, wine, wine event, wine portfolio tasting, wine styles, wine tasting, wine tasting event, winery spotlight, winestyles. Bookmark the permalink.